As new set of configurations are released by different vendors from time to time, it becomes important to ensure end user experience is consistent across different platforms/configurations. Additionally, responsive applications are growing in the market which has increased the requirement of testing apps on variety of devices. So this time we have tailored our tool evaluation to support automation of applications on multiple platforms and its responsiveness. 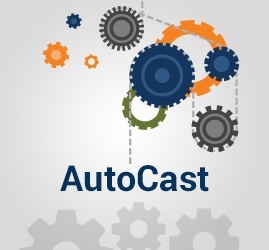 Pre and Post Webinar Questions Answered: "Reducing False Positives in Automated Testing"
QASource, in conjunction with Sauce Labs, recently presented a webinar titled: “Reducing False Positives in Automated Testing.” Below are answers to some of the questions that were asked before and after the webinar. Many automated test scripts fail because of flaky tests, false positives or poor code. As a result, many companies are consistently updating their test scripts and having difficulty automating new features. Should a Software Testing Company Be Part of Your Agile Team? Short answer: yes, definitely. The Agile method is quickly becoming the preferred way of working at today’s most successful product companies. Agile teams are, by their nature, cross-functional. 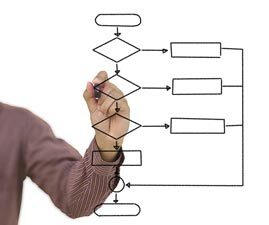 They’re composed of technical team members, such as developers, as well as non-technical folks, such as business analysts. Together, these teams have the combined knowledge and skill required to produce an exceptional product. They share their achievements and progress with each other, anticipate any potential roadblocks, and plan accordingly to help deliver a high-quality product. Service providers are coming up with new trends in desktop applications which indicates that "desktop applications aren’t dead, they’re more than alive" and the scope of desktop application automation is growing. Our R&D team has spent time in evaluating tools and technologies to automate desktop application and therefore, came up with this newsletter which can help you to stay ahead with the latest trends in desktop application automation. 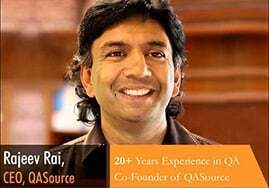 QASource sponsors the East Bay Agilistry & QA Meetup Group. Goal of the meetup group is to create a community where software engineers and developers can meet once a month to learn new skills, build on current skill sets as well as network with other business professionals. 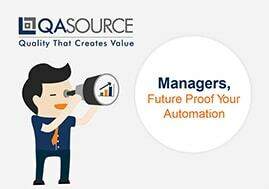 Most successful product companies know by now that QA testing is a great investment. It ensures that the product is functionally sound, built to user expectations, and ready for adoption by a large, demanding market. But many companies still struggle with prioritization of the testing they actually need. This is particularly true of companies who have grown very quickly, and are pursuing a QA vendor to meet the expansion of their dev team. 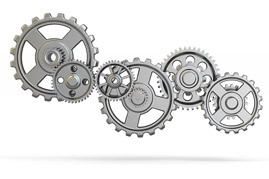 Are You Using Metrics for Your Automated Testing Services? As the saying goes, “You cannot control what you cannot measure.” In the software testing world control is the key to success, so the ability to clearly measure tests and track results effectively is essential. Historically, the results of automation have only been discussed generally and vaguely: is it helping the team? Is it helping the managers? Is it improving the quality of the product?